Thank you Bonalee & John for your review. You two will always have a very special place in my heart !! You two are an AWESOME couple. I LOVED all the times we spent together planning your wedding and I extremely enjoyed meeting your friends and family. Your wedding was WONDERFUL! Such an outstanding day! I also loved working with your photographer Jill Carnell Danseco Lemonade Photography (LemonadePhotography.com) 360-286-4394. She is A-M-A-Z-I-N-G !! The Eagles Nest was a fantastic venue located by the Kitsap County Fairgrounds in Silverdale (http://tinyurl.com/eaglesnestsilverdale) What a fun location!! In addition, Ronda (O’Sullivan) Williams and her team at Ambrosia Catering LLC : 360-479-2885 (http://www.ambrosiacateringllc.com) provided the most SENSATIONAL meal as they always do ! 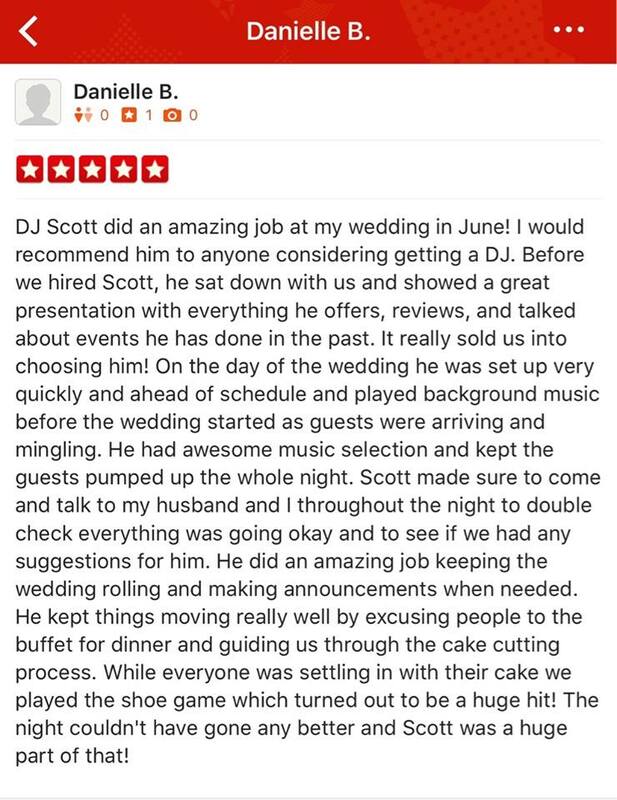 Thank you Danielle & Josh for your review. 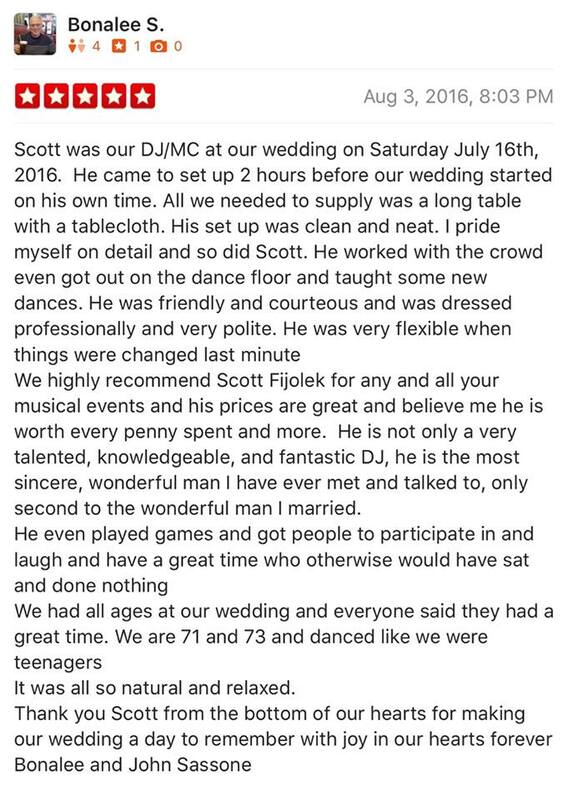 I Loved being your Wedding Producer / DJ, and not only was your parent’s house the perfect place to have the wedding, but your parents are an absolutely WONDERFUL couple!! Your officiant, Shirelle (email) shirelle@mysouthsoundwedding.com (MySouthWedding.com) was Amazing!! Elemental pizza was a VERY FUN choice for catering (Email: andrewh@elementalpizza.com) Elemental Pizza, Tacoma (ElementalPizza.com). Nate Burgher (Email: nateburgher@thefourfront.com) The FourFront is one of my all time favorite photographers. (TheFourFront.com) Nate knows how to get people to smile and he gets awesome photos and is SO much fun. You even chose one of my MOST favorite florists – Dana Kugler ( Maddy’s Old Town Flowers – 360-275-6062) It was DEFINITELY a Fun, Memorable, Exciting & Beautiful day/evening!! Thank you for choosing me !